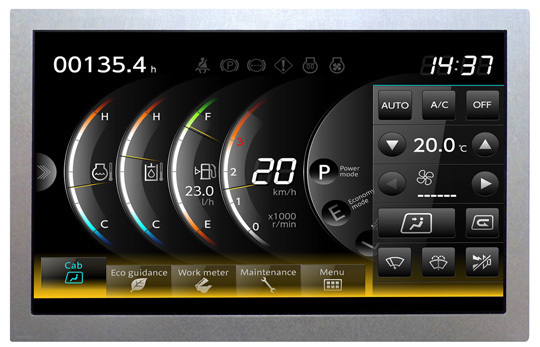 The Japanese electronics component maker Mitsubishi Electric launched a new Tough Series TFT-LCD modules, a WVGA model for wide-ranging applications in construction, agricultural vehicles, factories and more. The 7.0-inch and 8.0-inch module versions offer vibration resistance up to 6.8Gs, seven times that of conventional modules and operating temperature range of -40 to 85 degrees Celsius. The viewing angle is also significantly better with super-wide 170-degree horizontal and vertical viewing angles. These LCD modules are expected to be available from the end of March month of 2017. The new module is designed to meet the demand of rugged TFT-LCDs withstanding extreme temperatures and strong vibrations.